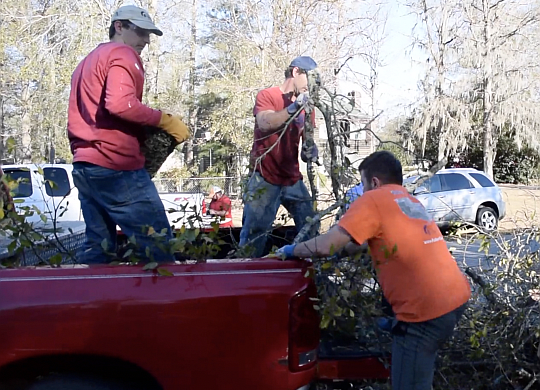 On January 2, 2017, Albany, Georgia, was struck by massive storms and strong winds that toppled trees and damaged homes throughout the city. The storm did not discriminate, striking poor and wealthy neighborhoods alike. The Albany Area Fuller Center for Housing has been working with teams from the city, churches, volunteers and others — including staffers from The Fuller Center for Housing’s international headquarters, which sits about a 45-minute drive north of Albany — to assist in debris removal and other cleanup projects.